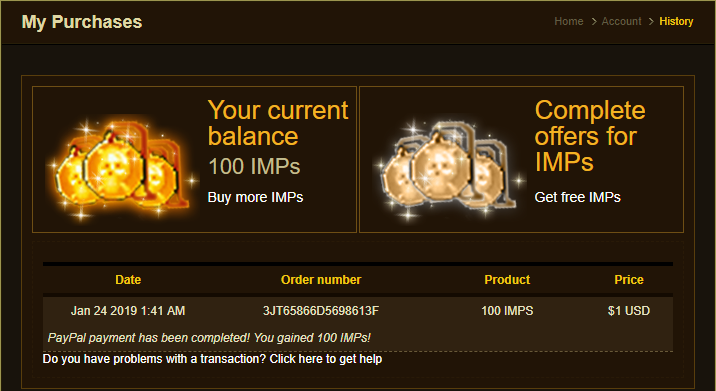 Visit our payment center and select the bundle with the amount of IMPs that you want to purchase. 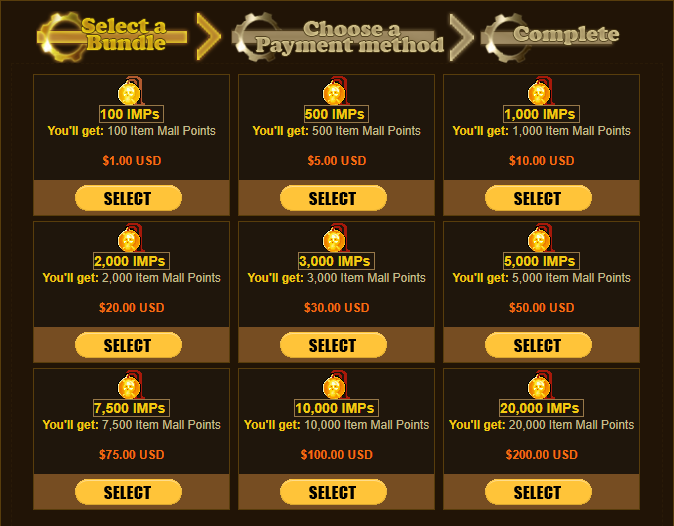 Verify the bundle details, agree to our terms and policies and then select the payment method you want. 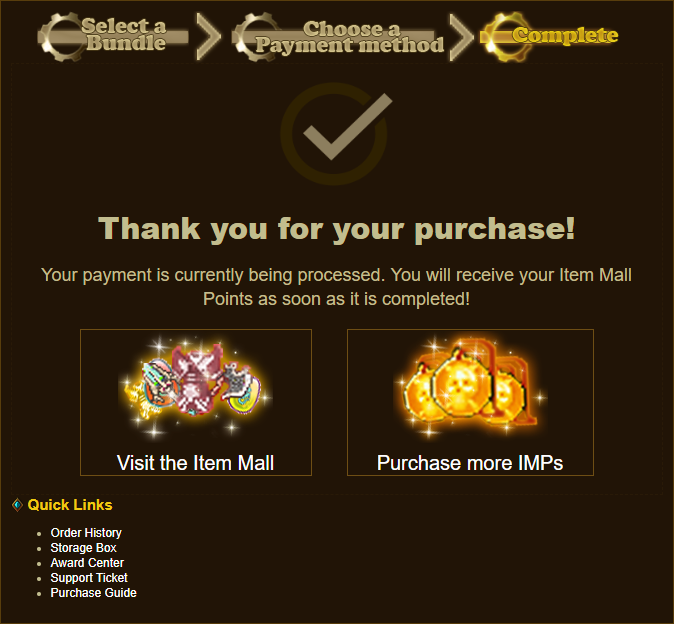 You will be taken to the respective payment method's website. 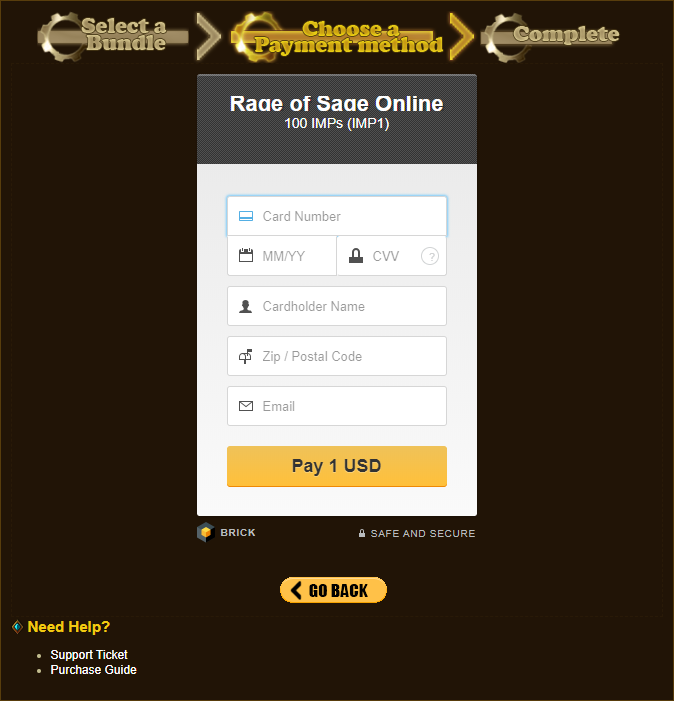 You can purchase using credits cards or your PayPal account. 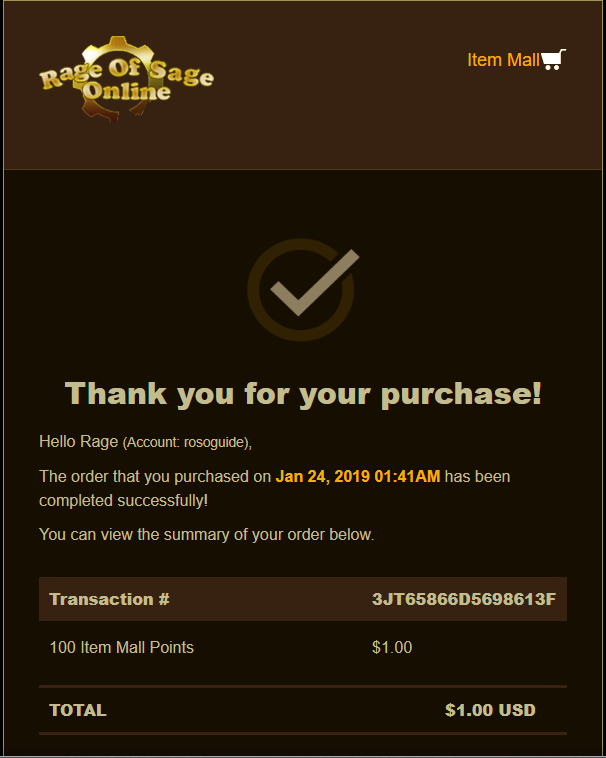 You can purchase using a credits card. All payments are handled by Brick. 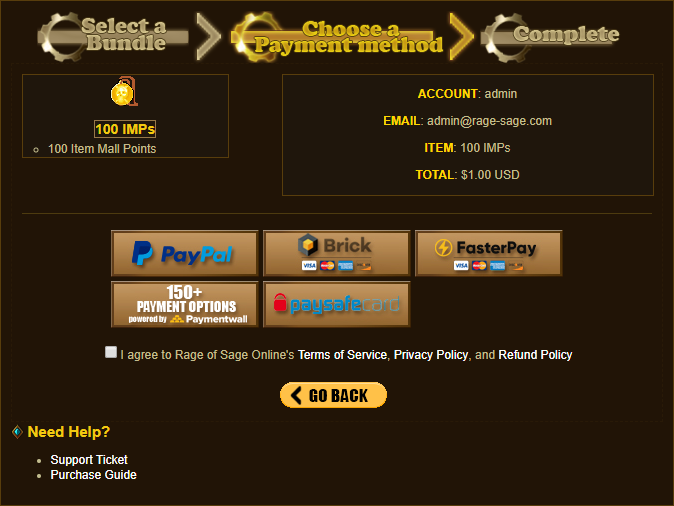 Rage of Sage Online does not have access to any credit card information. You can purchase using credits cards, e-wallets, gift cards, cash cards and more. 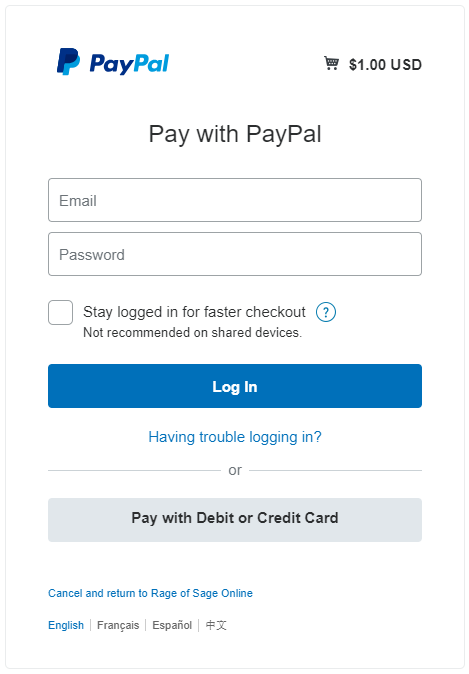 The payment methods that you see are based on the country you live in. 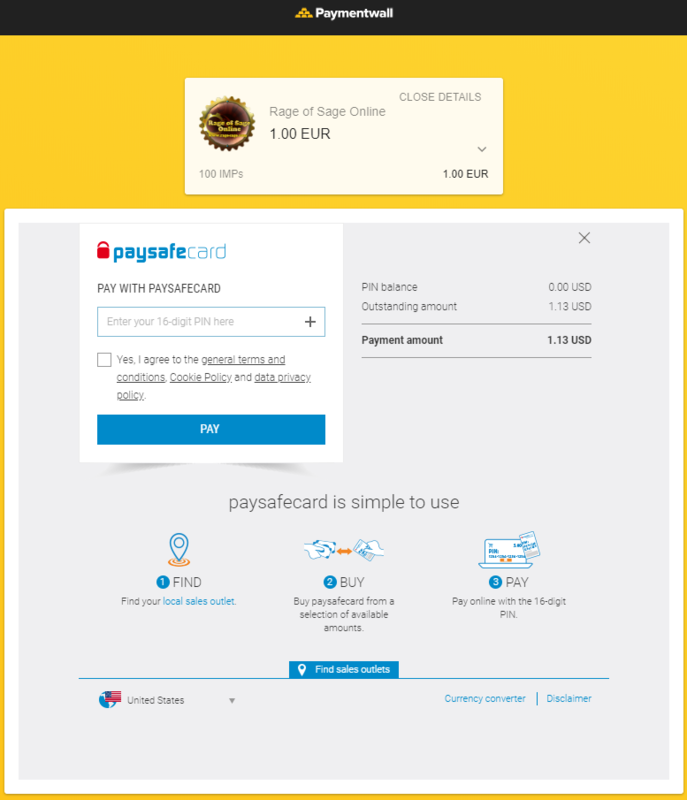 You can purchase exclusively using PaySafeCards. Available in over 80 countries. 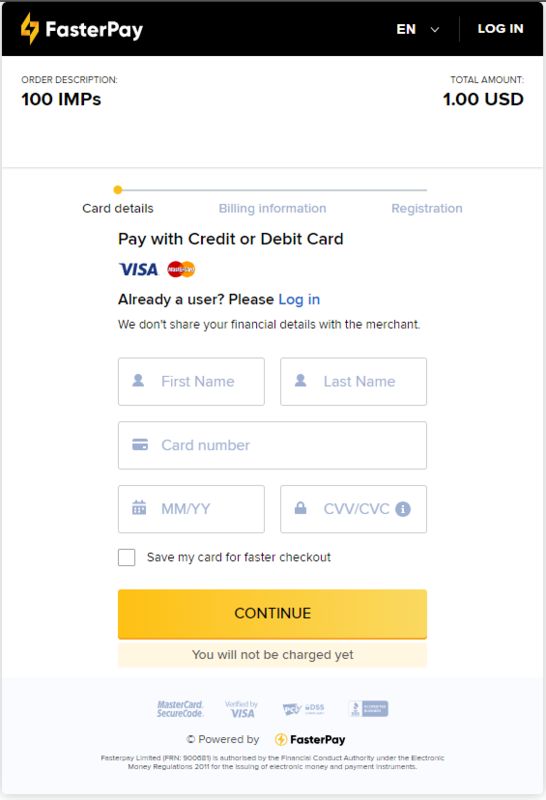 You can purchase using a credits card. All payments are handled by FasterPay. 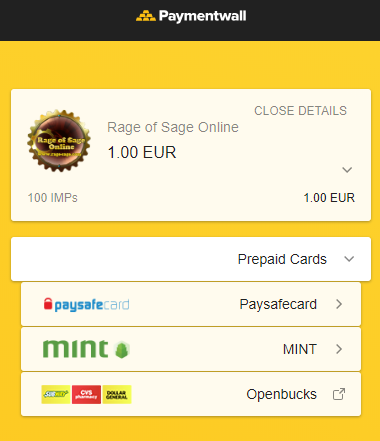 Rage of Sage Online does not have access to any credit card information. You'll also receive an email from us to keep for your records.